If you enjoy the Q7's clean exterior, well-executed (like all Audis available in the U.S.) interior, three-row capability and standard all-wheel drive, you'll enjoy the Q7. And your decision to commit to the Q7's 5,200 pound curb weight is made more palatable by the new V6 and improvements in both city and highway EPA ratings. It is a good vehicle for a family of plus 4. The thermostat gave me issues, overheated a one point. Also had some brake issues didn't think it would happen so soon but it did. This is a very comfortable car with lots of room for your legs and your head. It requires high test gasoline. It's a reliable vehicle without the need for any major repairs. My truck provides luxury and comfort at a reasonable price. It's great on gas and drives like dream. 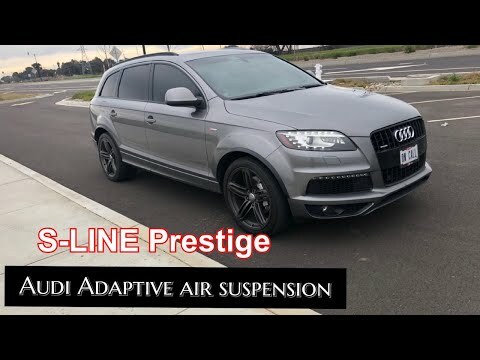 2011 Audi Q7 3.0T S Line Prestige Review - The Most Technologically Advanced SUV for its time?